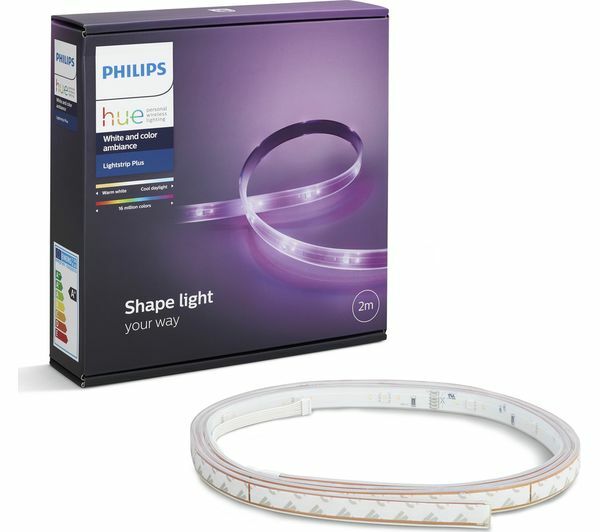 Light your home with the Philips Hue Smart LightStrip Plus Starter Kit & LED Extension Pack Bundle. 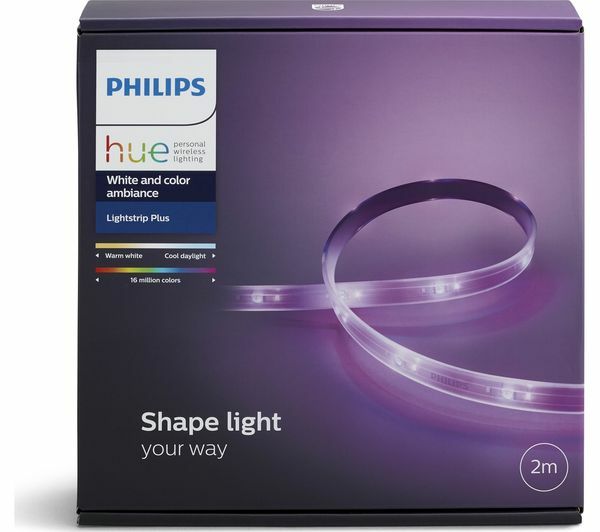 Capable of displaying different tones of white light and 16 million different colours from anywhere in the spectrum, the Hue LightStrip Plus allows you to truly customise your home and create your own personalised lighting effects. 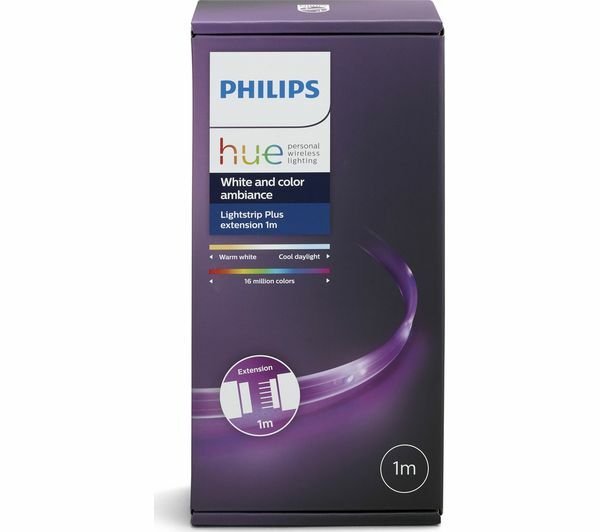 You can even turn your photos into a pallete of colour for your lights, using a pointer on your smart device to change the Hue bulb to the colour selected on the photo. 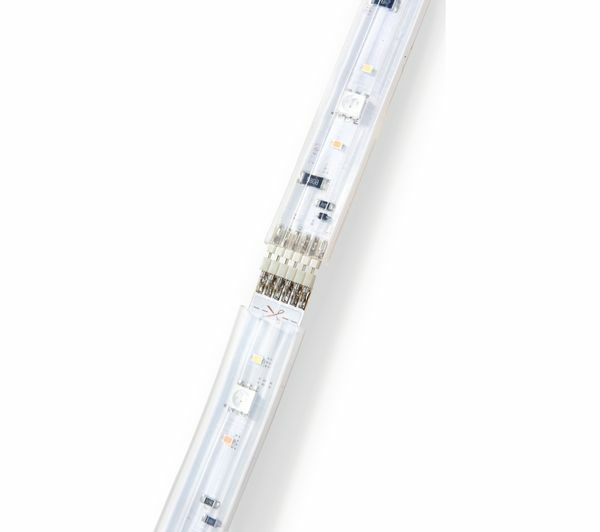 The Relax setting changes all of your selected bulbs to produce a soft glow which will help to calm you at the end of a busy day. 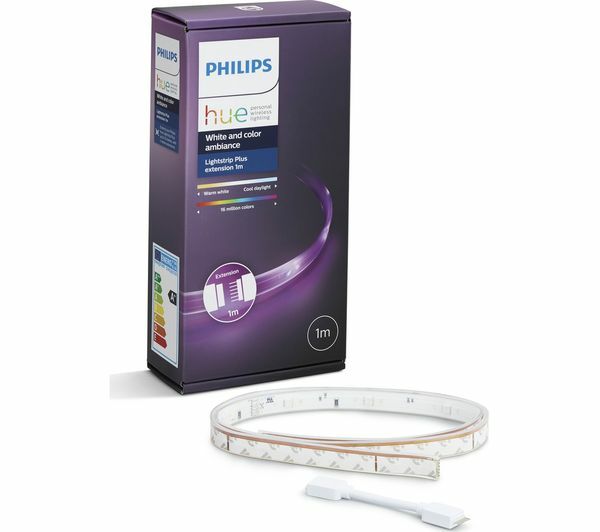 By creating a Hue account you can access your wireless lights from anywhere through a web browser or your app. 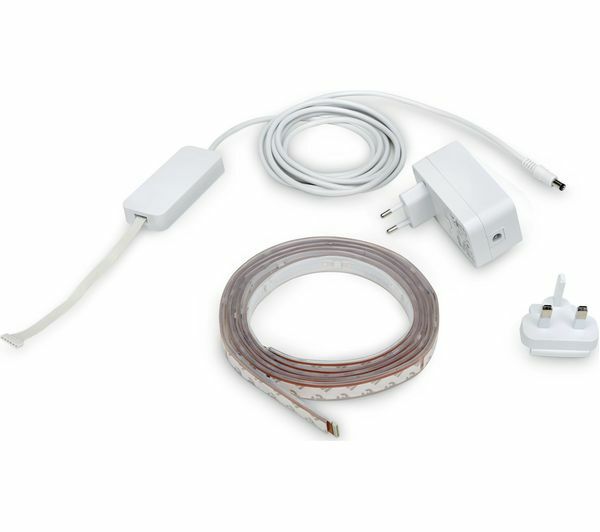 It is possible to connect up to 50 lights and control them using a single smart device, allowing you to control a wide range of lighting throughout the house even while you are away. 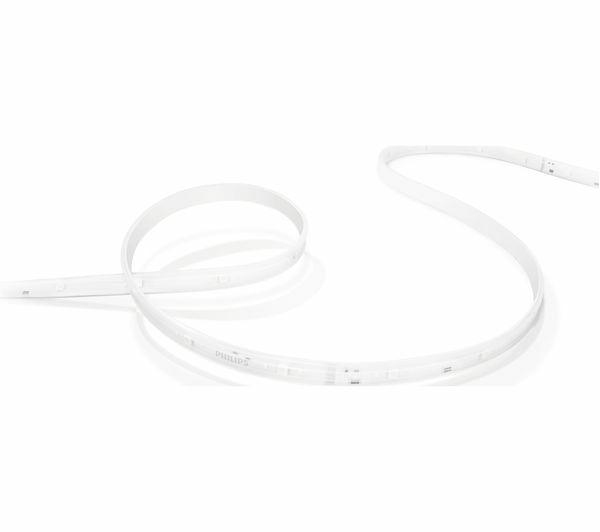 A timer function can be utilised to gradually change your lights over time - whether you want gentle lights to wake you up in the morning or the option to automatically fade gradually to help you fall asleep, you can find the ideal setting for your needs. 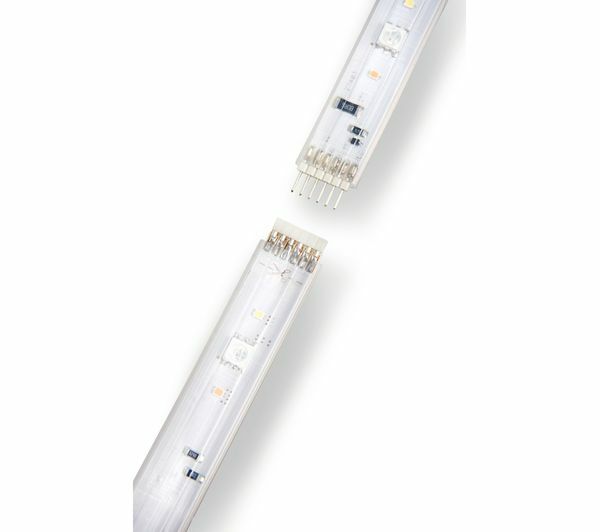 ZigBee technology ensures a safe and reliable system for controlling your lights, as well as updating software and firmware wirelessly, directly to your bulbs. 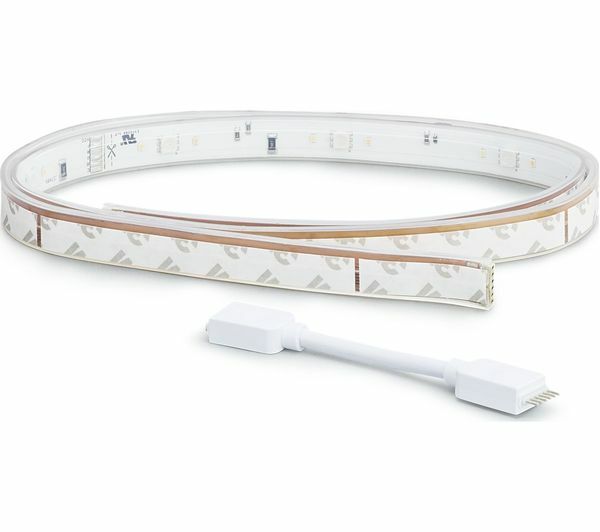 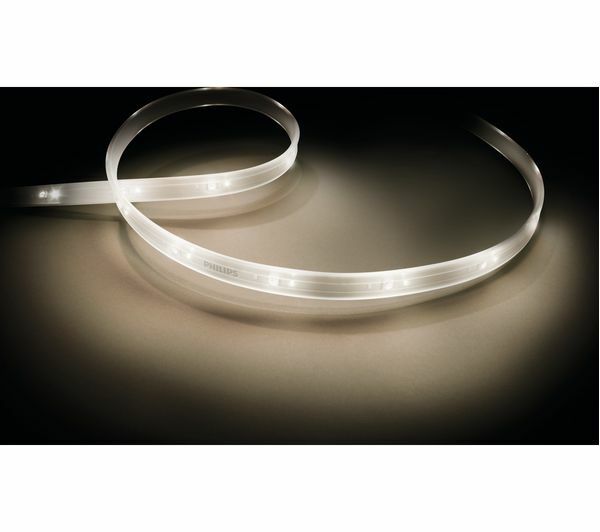 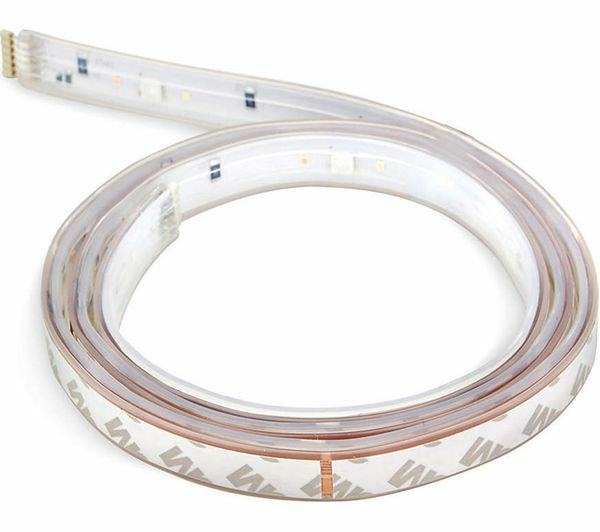 Perfect for adding to any room in your home for a unique lighting effect, the LightStrip Plus Pack adds up to 32 feet of smart lighting to your existing Hue lighting. 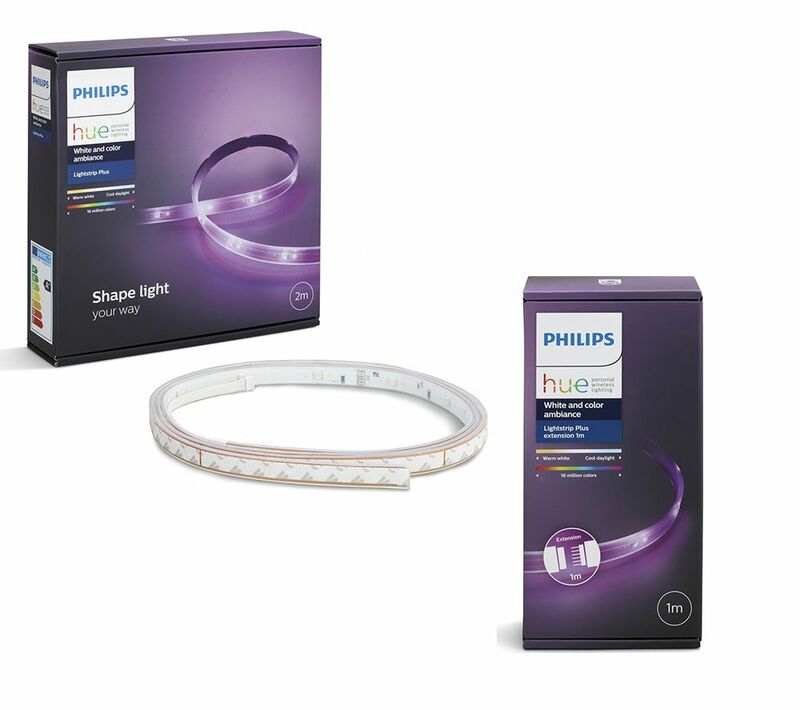 The Philips LightStrips Extension Pack includes a LED Hue light strip to add to your existing Hue lighting. 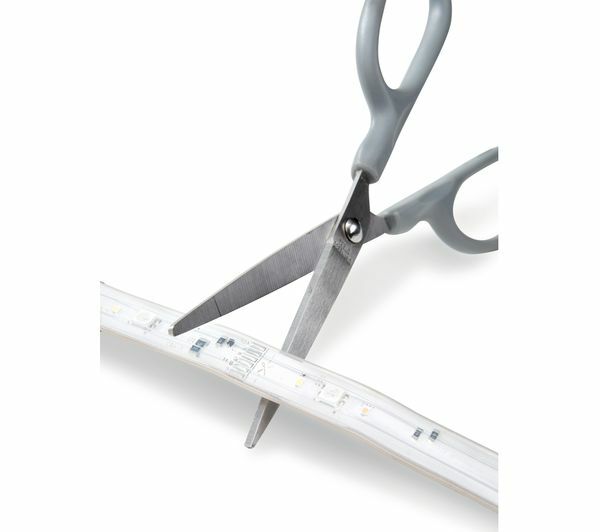 Installing the strip is easy as it comes with an integrated adhesive strip and is powered by mains, so can be placed almost anywhere. 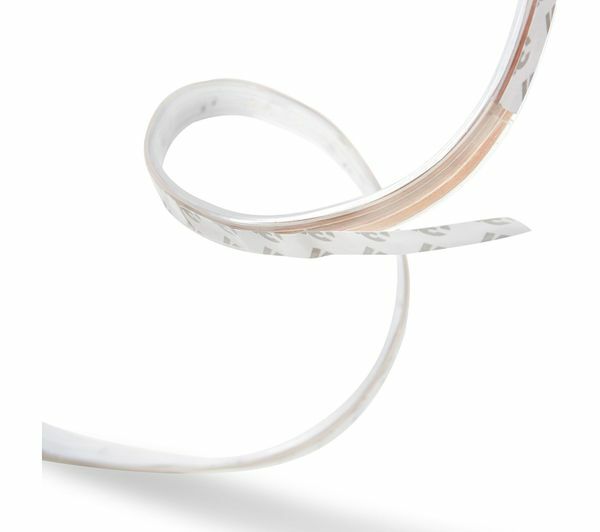 It's flexible too – wrap it around furniture, photos, and fixtures for completely versatile installation.